The United Arab Emirates (UAE) on Monday said its played an important role in reducing the recent Indo-Pak tensions by giving “words of wisdom” to the leadership of both countries for sorting out differences in a peaceful manner. 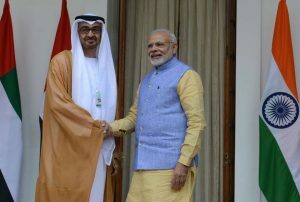 UAE’s ambassador Ahmed Al Banna, however,clarified that the United Arab Emirates did not mediate between the two countries and that the aim of its efforts was to decrease the tensions which had spiralled in the wake of the air strike by Indian jets at a Jaish-e-Mohammed (JeM) terror camp in Balakot, Pakistan, post the Pulwama terror attack. “On the day there was a huge escalation, there was a phone call from our Abu Dhabi Crown Prime to Prime Minister Modi and to the Pakistan Prime Minister,” he said, replying to a question on UAE’s role in de-escalating Indo-Pak tensions. “Our role was to give words of wisdom and try to sort out the differences in a peaceful manner just like the UAE has done in its relationship with Iran,” he said. Asked about India’s action to strike the JeM terror camp in Balakot, Al Banna said what India or any country decides in terms of its policy, the UAE does not interfere. “In general, we are against radicalism, we are against terrorists, we are against terrorism. A lot of people talk about definitions, but for us a terrorist act is a terrorist act. A lot of time we interact with Indian authorities and make suggestions and it is up to the Indian side to take it or not,” he said. 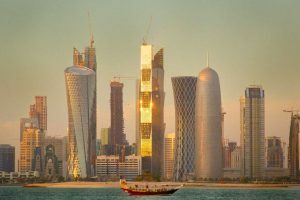 To another question on India’s presence at the Organization of Islamic Cooperation Foreign Ministers meet in Abu Dhabi earlier this month, he welcomed New Delhi’s participation. Asked about Kashmir being raised by the Islamic grouping, the envoy stressed that the declaration made in Abu Dhabi at the OIC meeting made no mention of the “Kashmir problem”. UAE envoy also said that there was strong cooperation between India and its country on counter terrorism. “We would like to enhance counter-terror cooperation. We want to stop this nonsense of killing innocent people…Islam has been hijacked by some of those terrorists and they have hijacked the actual purity of Islam,” Al Banna said. In his speech at the event, the envoy said it was the UAE and Saudi Arabia that covered the shortage of oil for India after Iran sanctions.